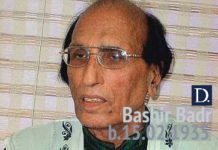 Perhaps the prominent name in Urdu poetry over the centuries, Mirza Asadullah Baig Khan was born on, 27 December 1797. 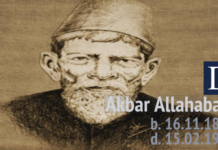 He was a prominent Urdu and Persian poet during the last years of the Mughal Empire. He used his pen-names of Ghalib (غالِب ) meaning dominant) and Asad ( اسَد) means lion. His honorific was Dabir-ul-Mulk, Najm-ud-Daula. During his lifetime the Mughals were eclipsed and displaced by the British and finally deposed following the defeat of the Indian rebellion of 1857, events that he described. 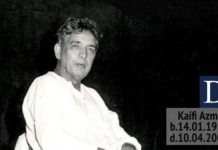 Most notably, he wrote several ghazals during his life, which have since been interpreted and sung in many different ways by different people. Ghalib, the last great poet of the Mughal Era, is considered to be one of the most famous and influential poet of the Urdu and Persian languages. 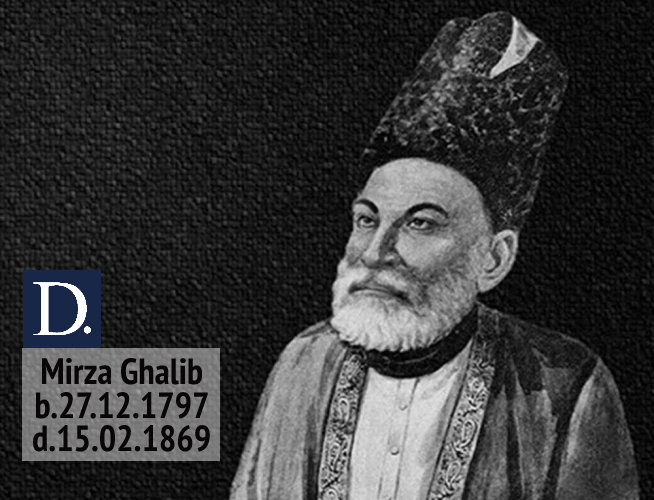 Today Ghalib remains popular not only in India and Pakistan but also among the Hindustani diaspora around the world. Ghalib died on 15 February 1869.